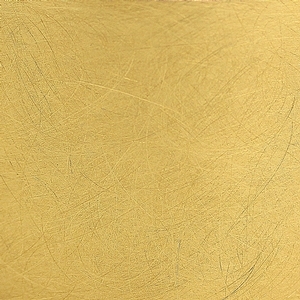 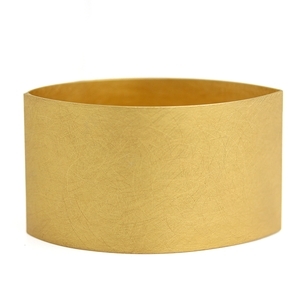 Brushed Gold Plated Silver Cuff Bracelet at Reliable Gold in Providence, RI Reliable Gold Ltd. 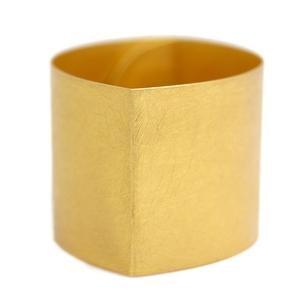 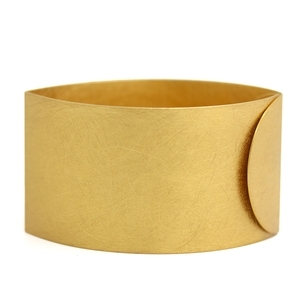 Brushed gold over silver cuff is sleek and weighty for a fun and bold look. 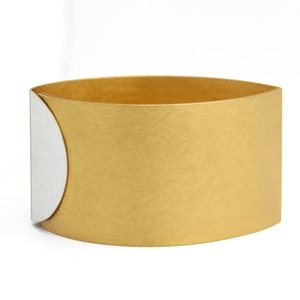 Its flap enclosure lends some versatility - wear it as a solid piece, with the flap to the outside or reverse the flap for a hint of silver.